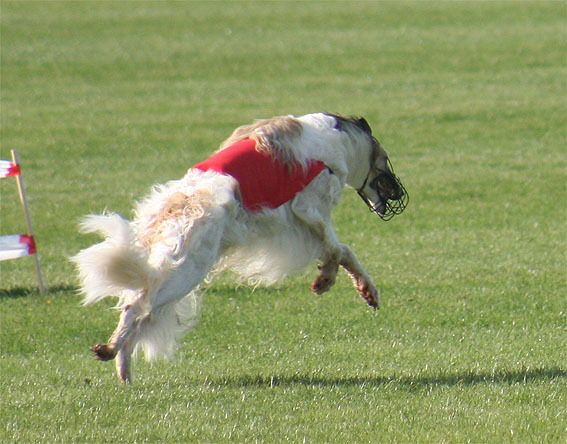 On March 11th Ochhotnik got his "Working Permit" in "Clean Boot Hunting" so he and Arnold may start in the official trials from now. 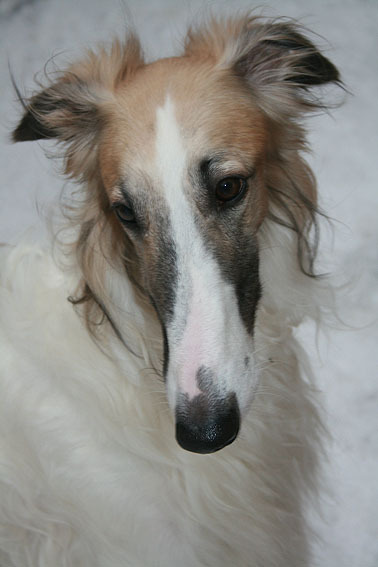 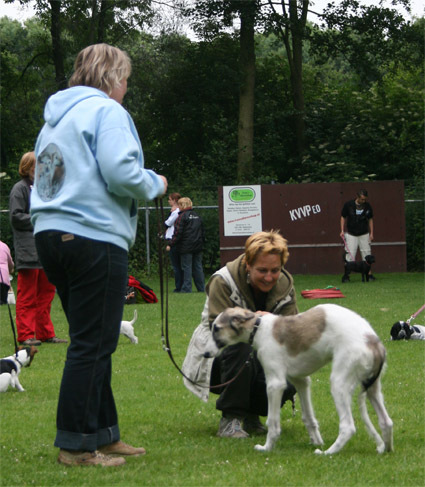 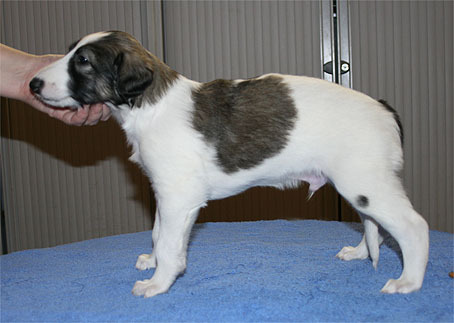 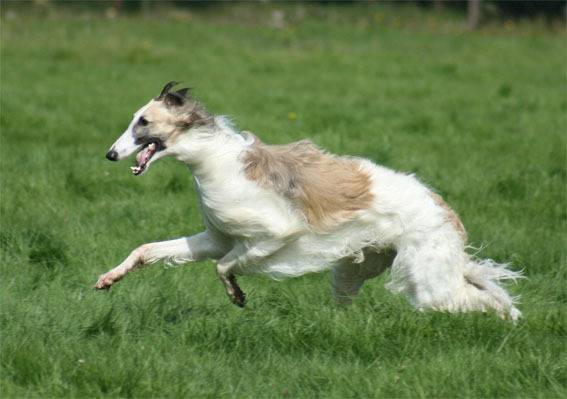 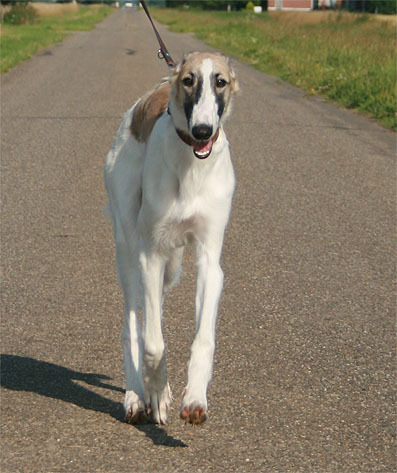 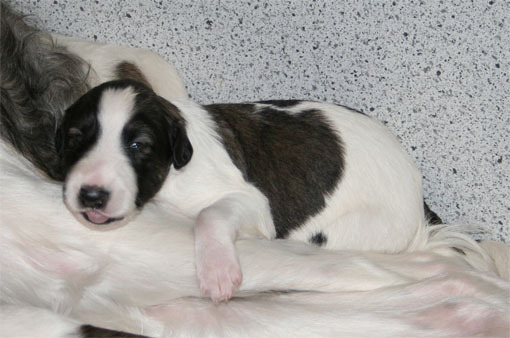 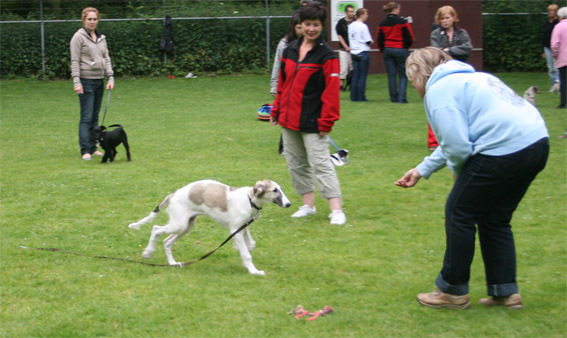 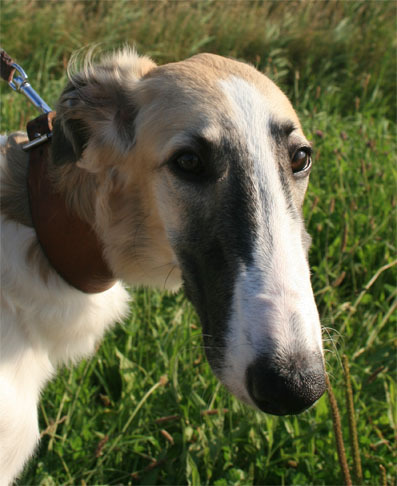 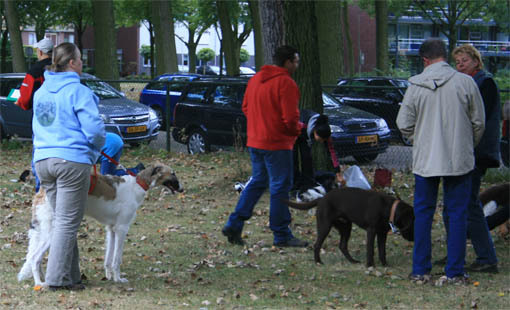 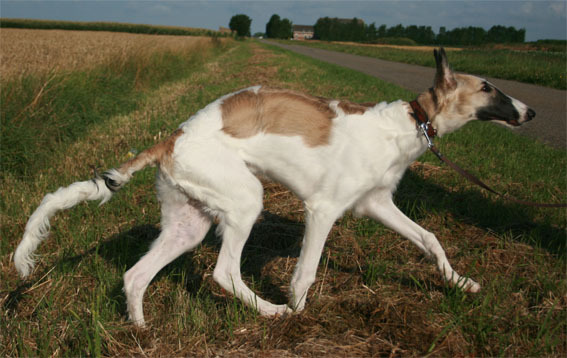 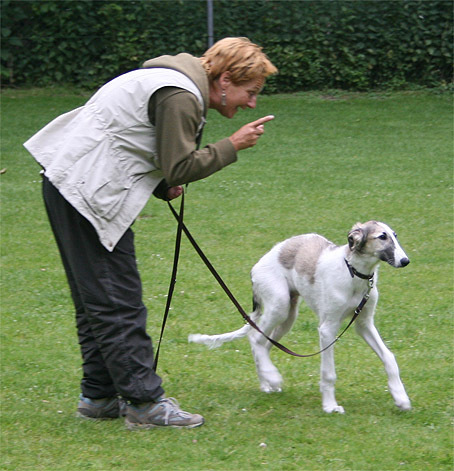 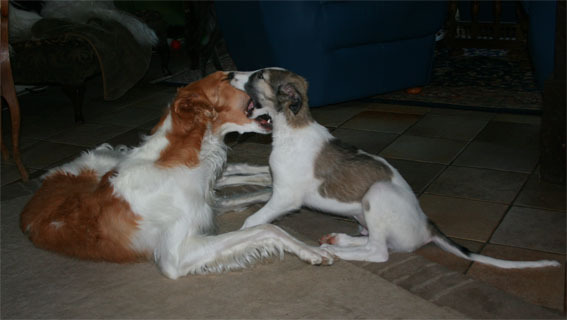 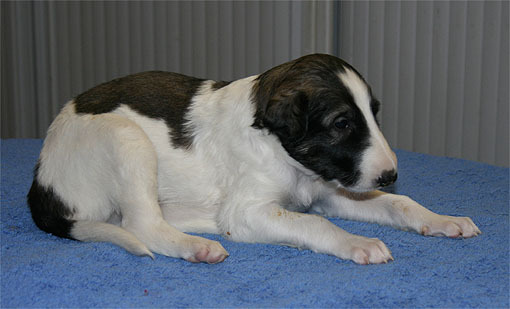 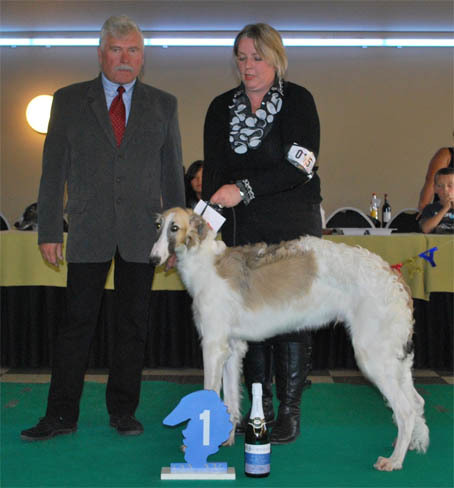 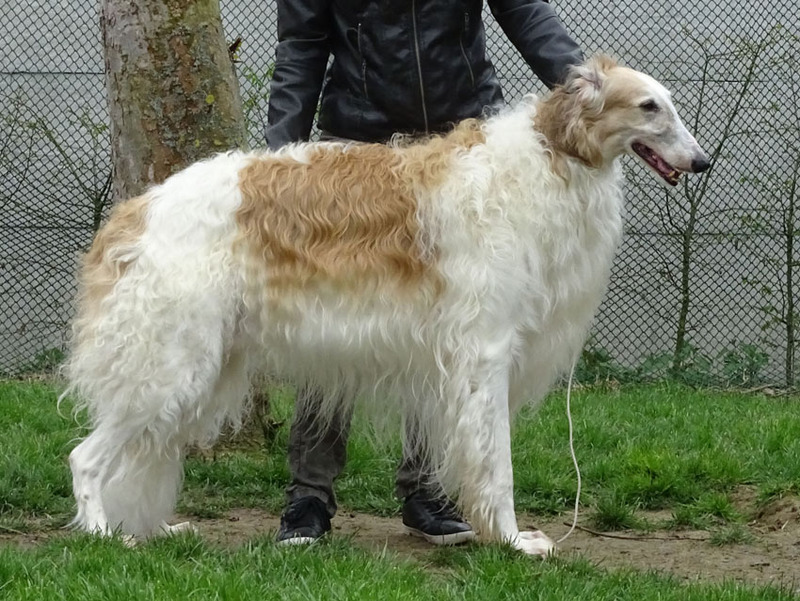 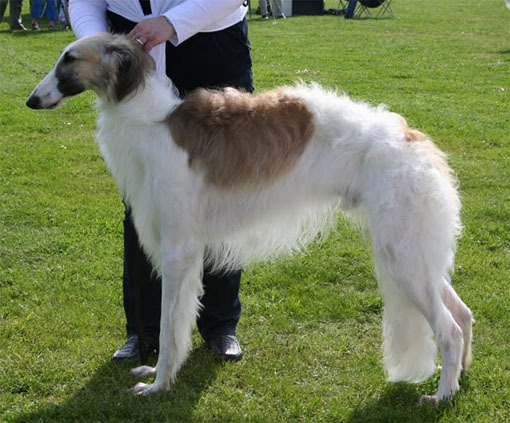 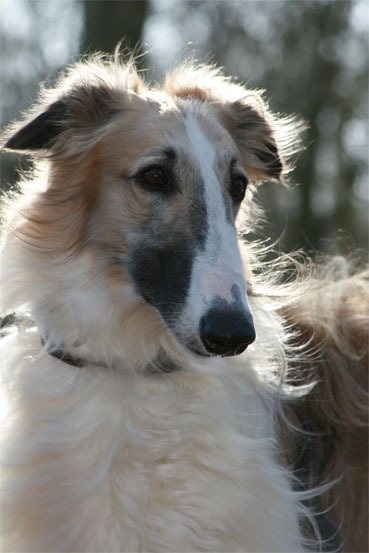 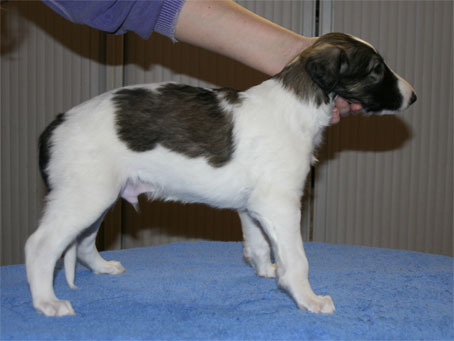 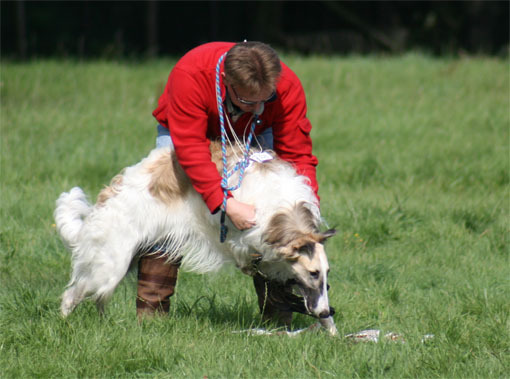 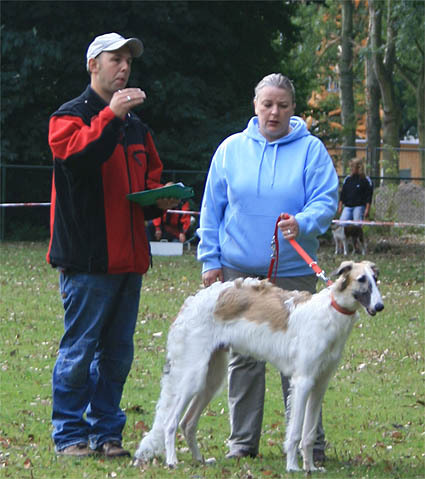 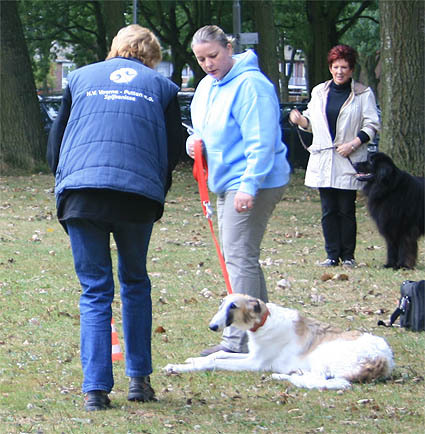 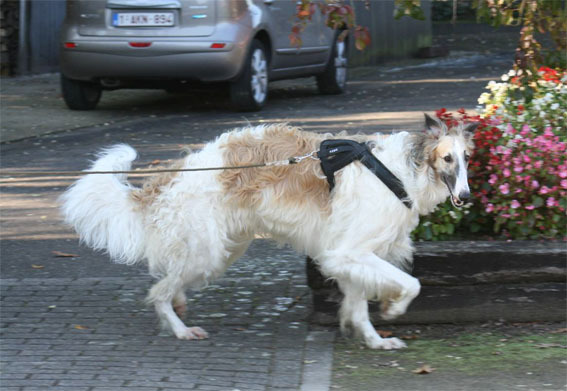 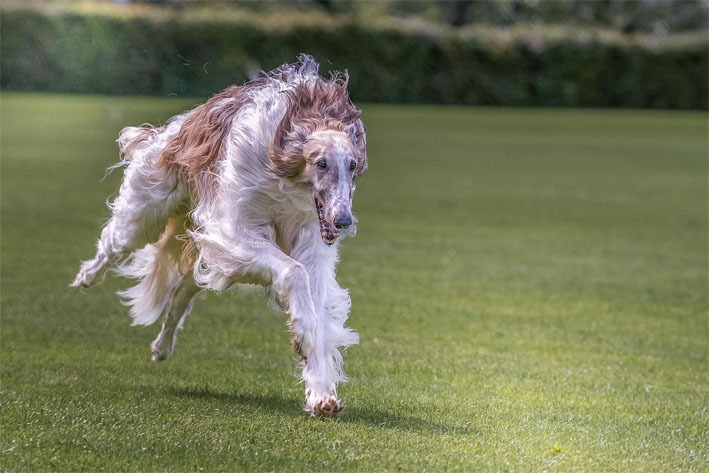 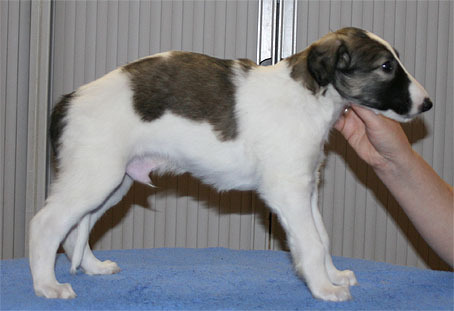 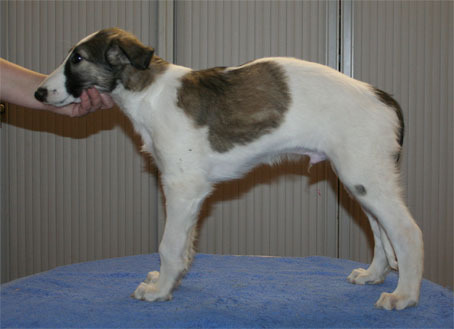 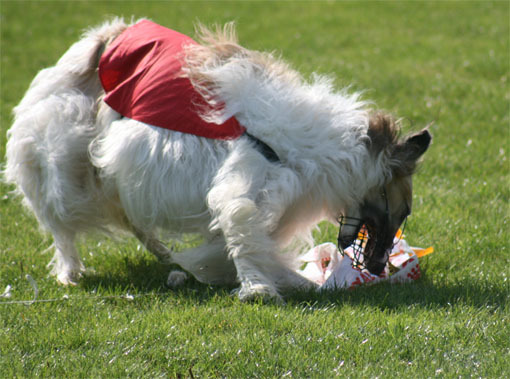 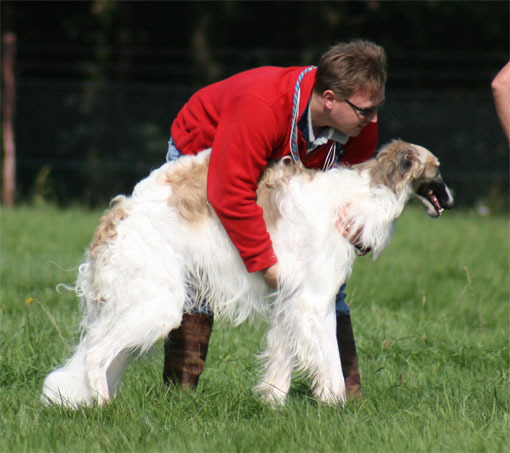 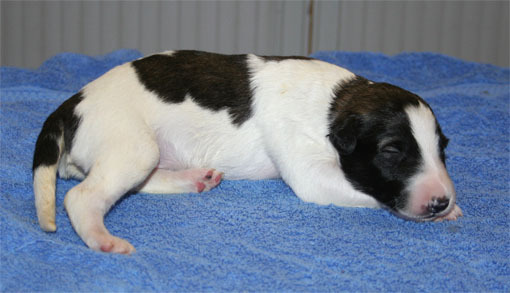 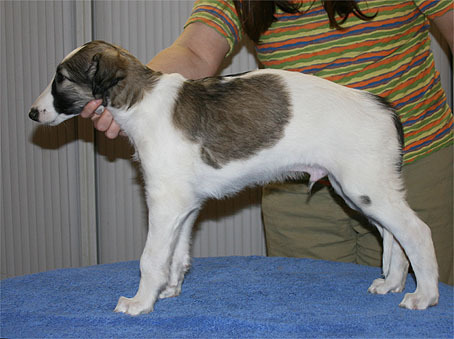 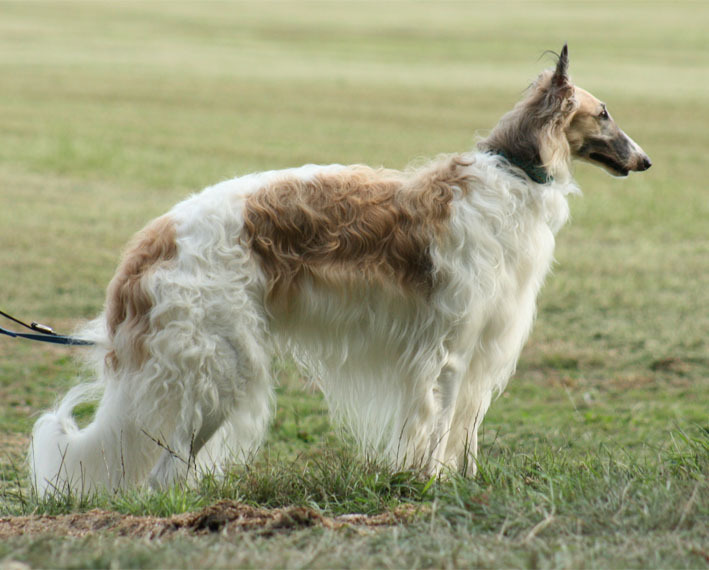 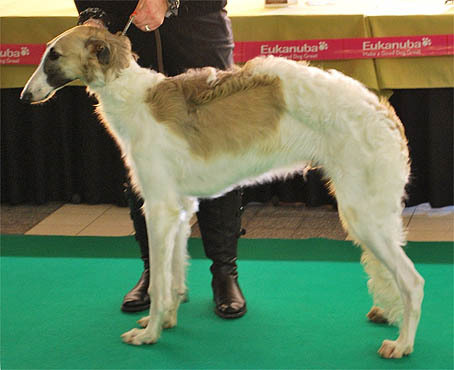 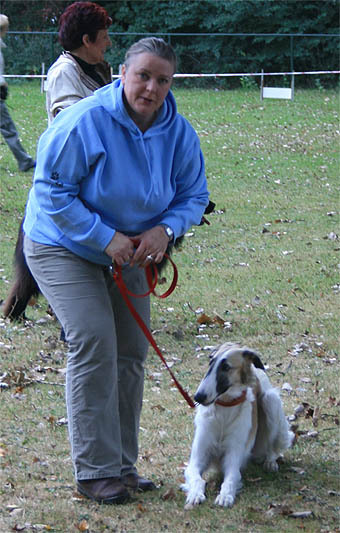 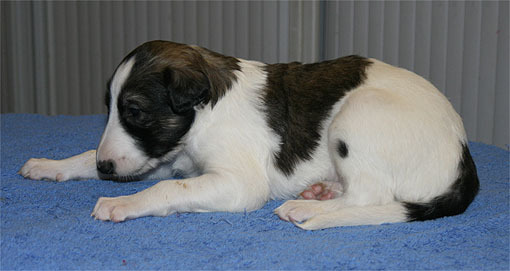 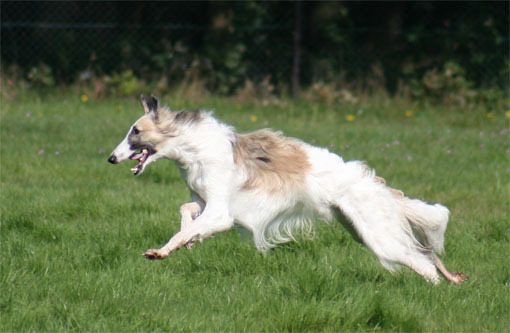 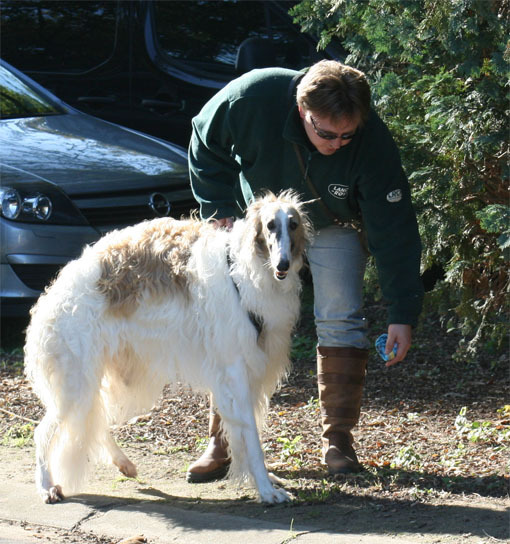 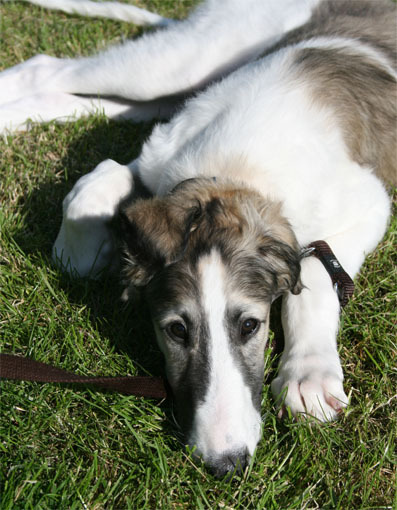 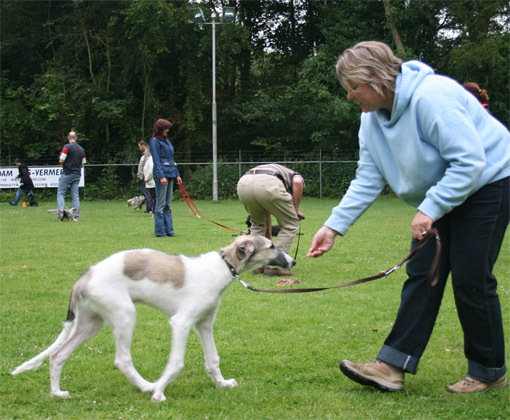 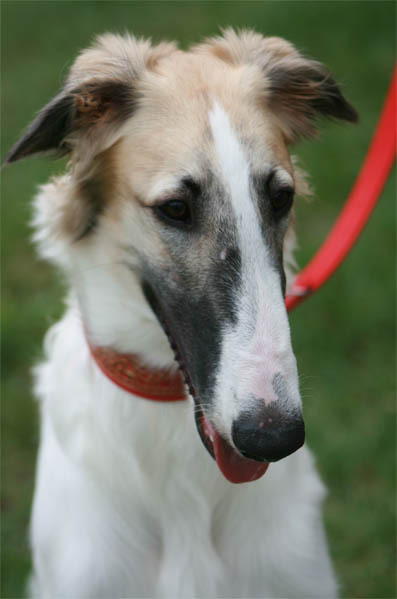 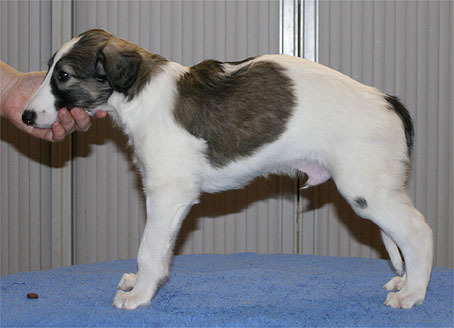 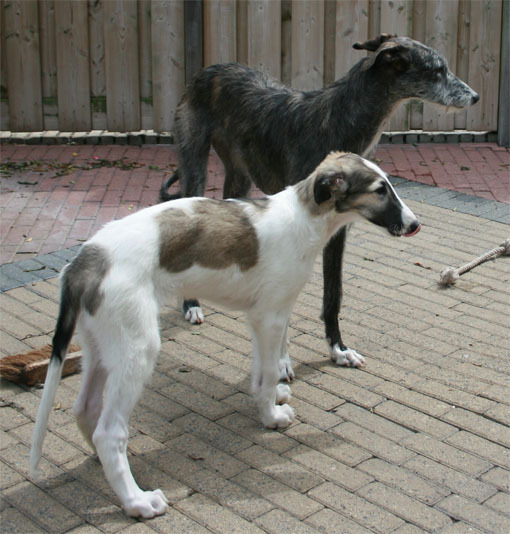 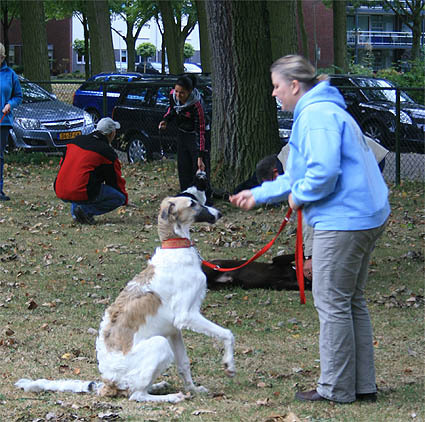 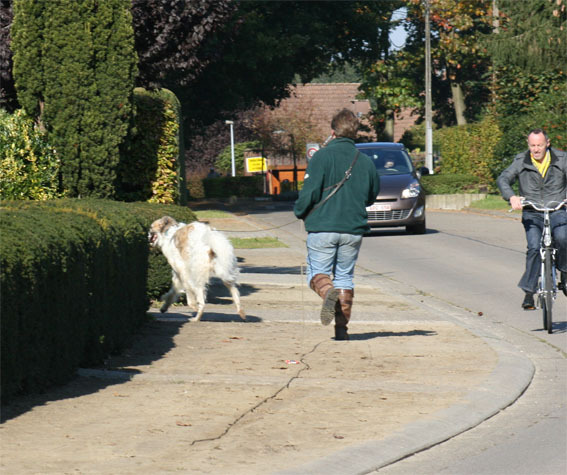 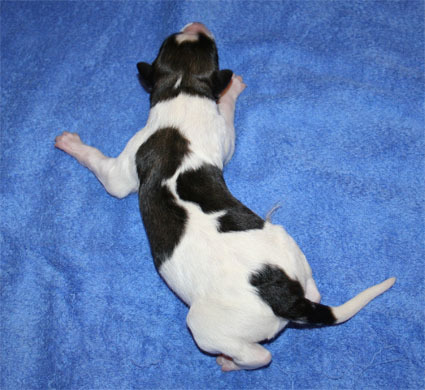 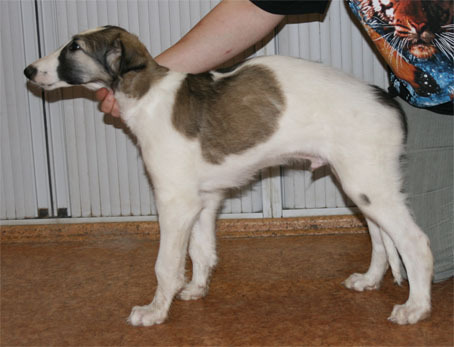 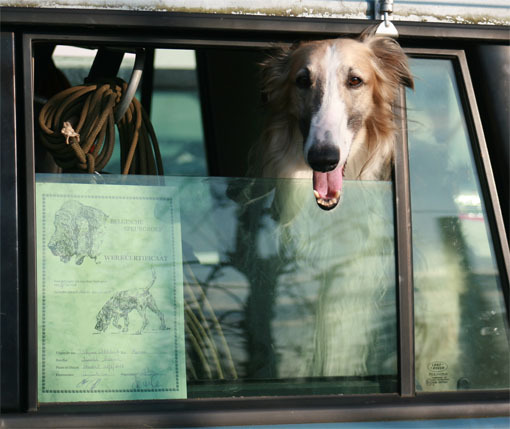 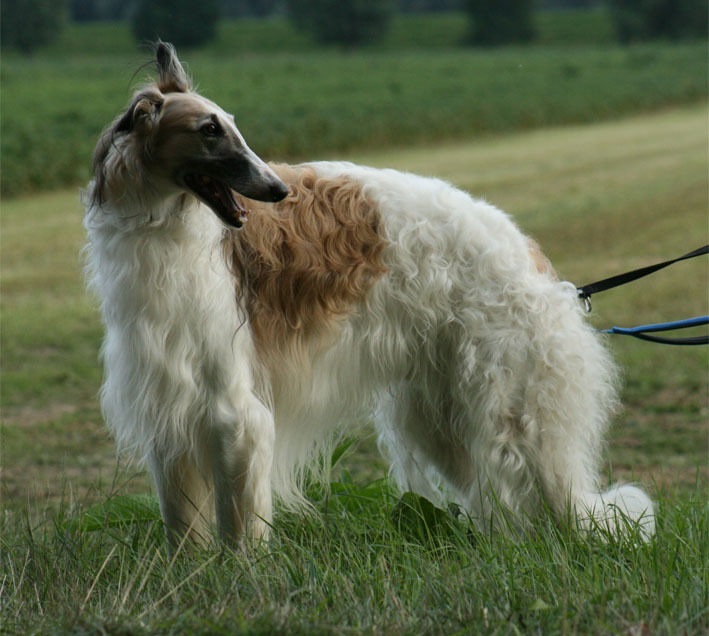 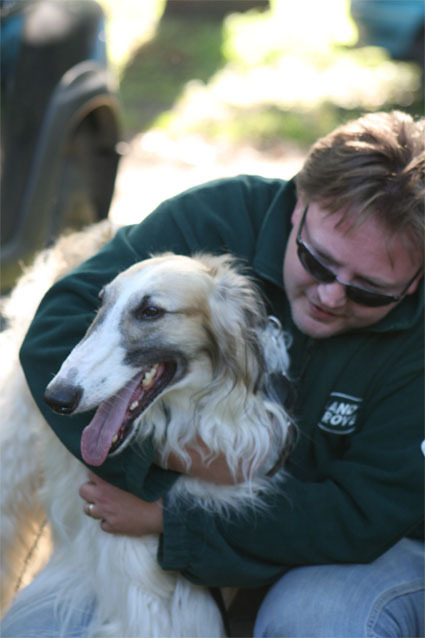 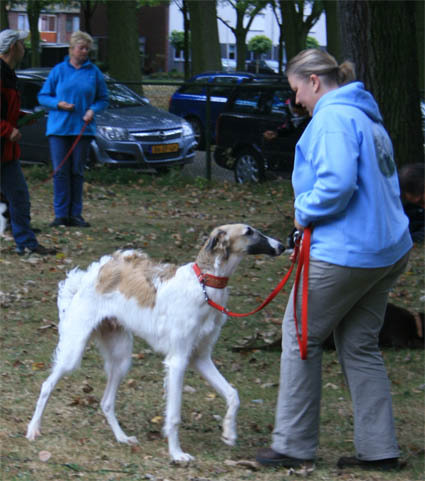 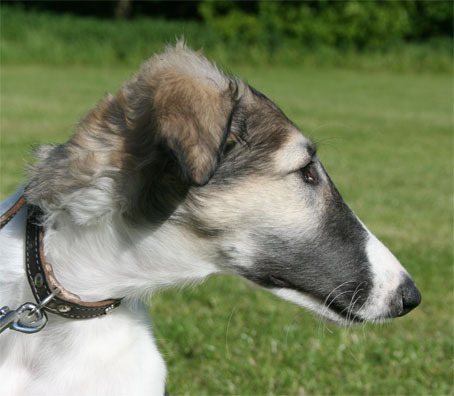 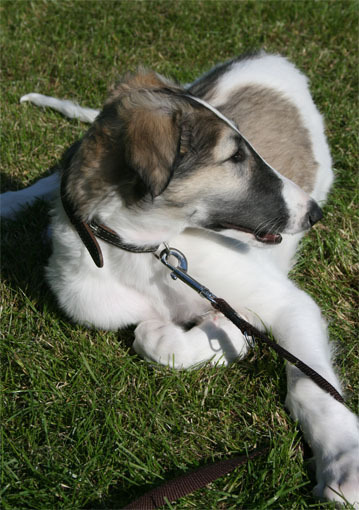 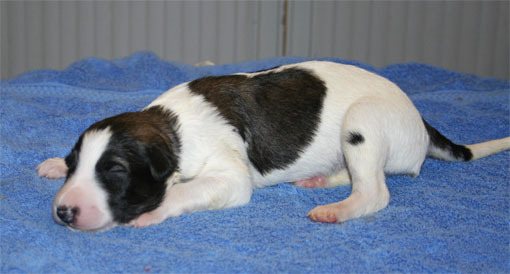 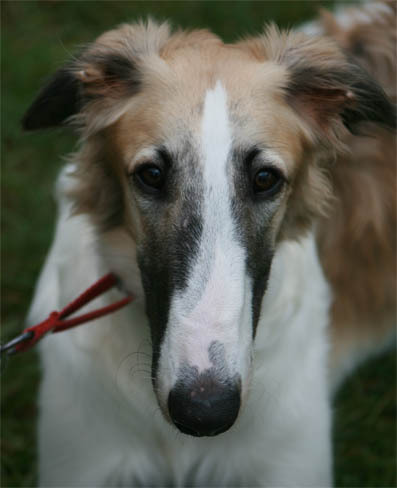 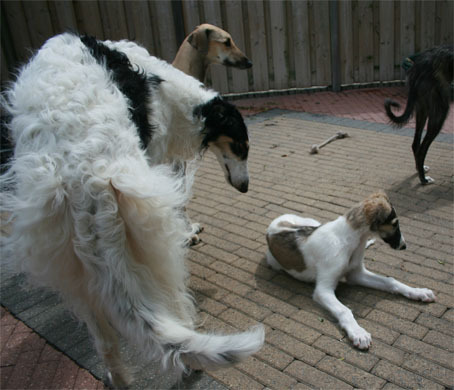 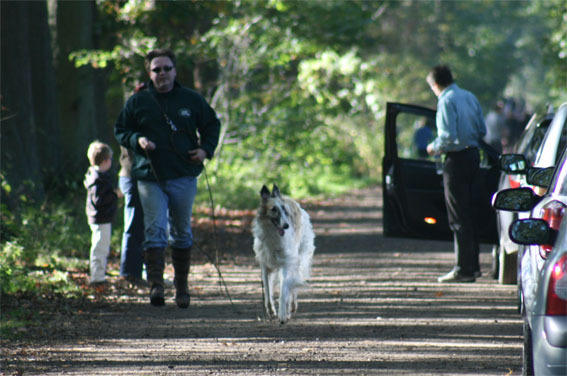 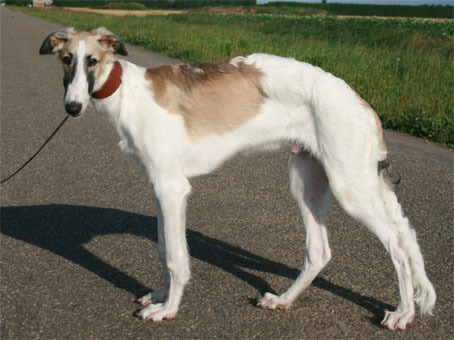 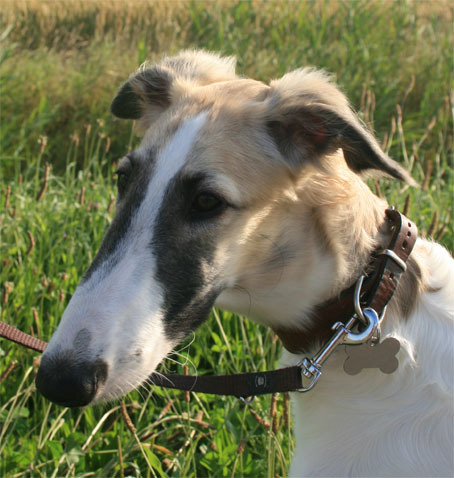 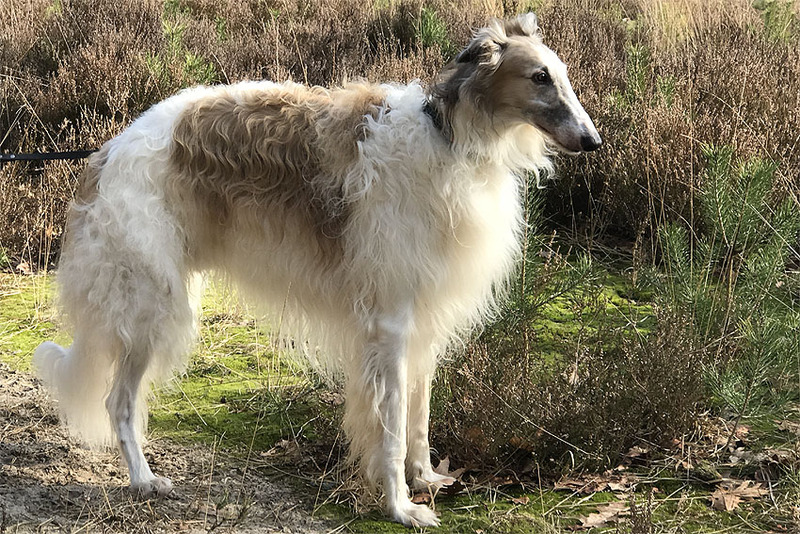 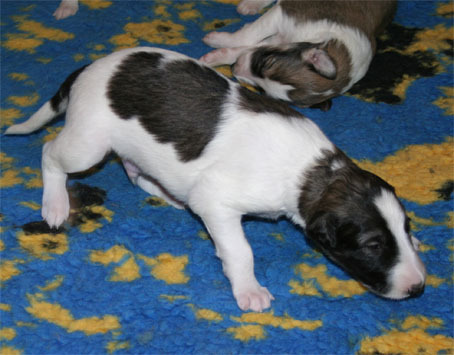 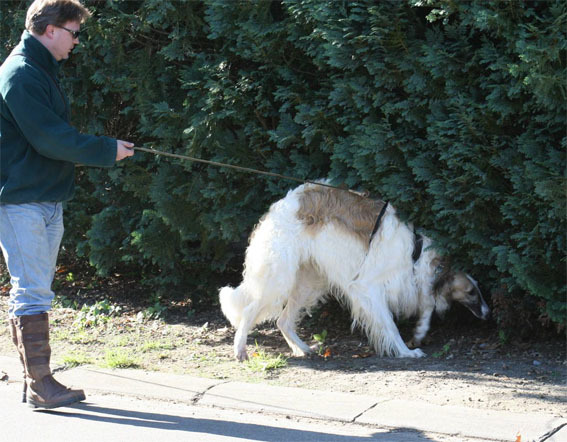 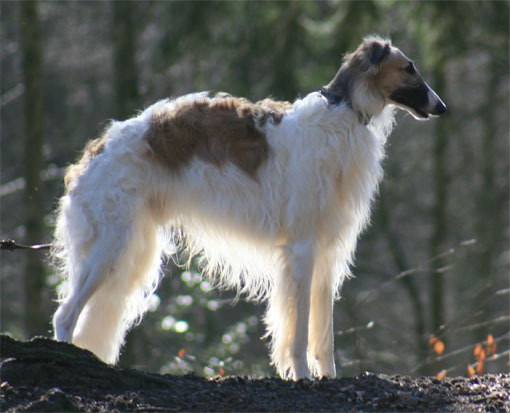 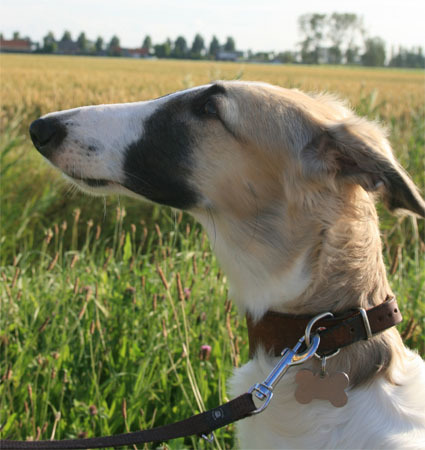 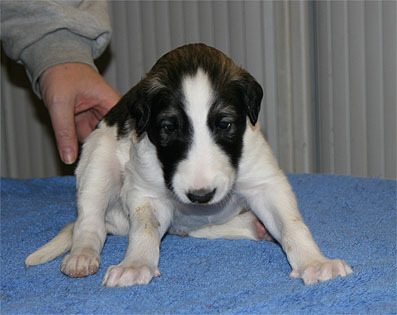 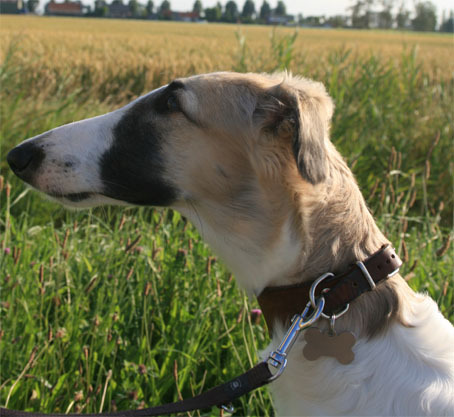 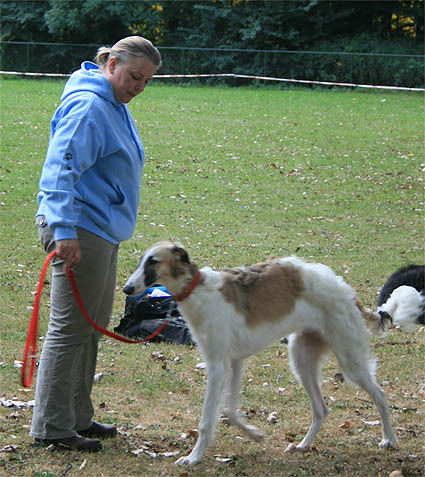 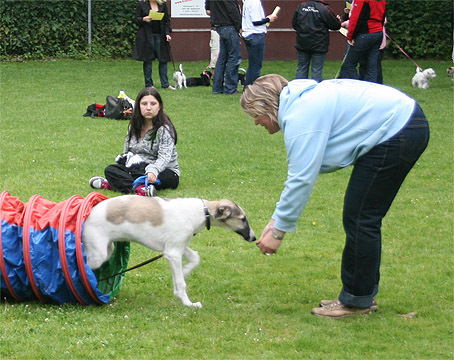 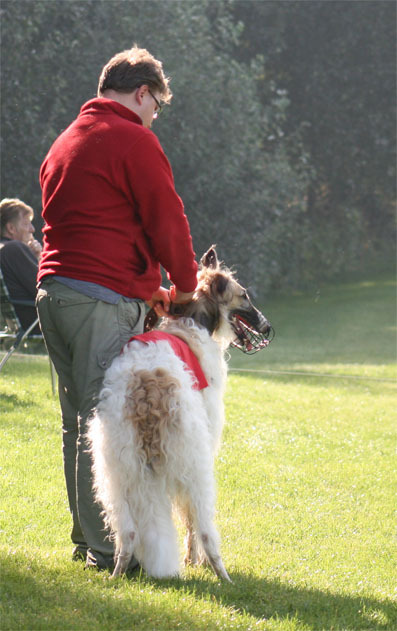 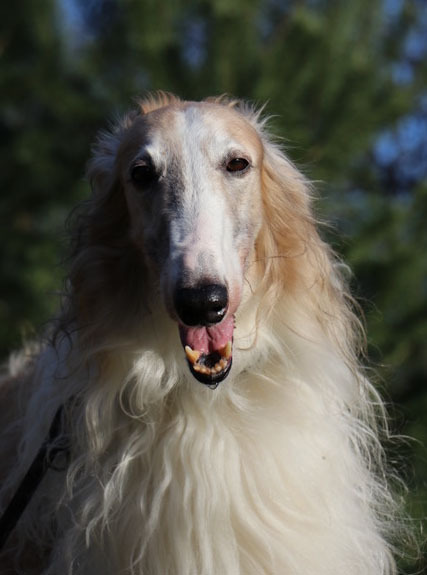 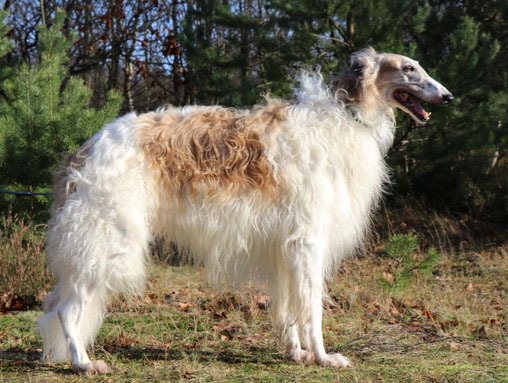 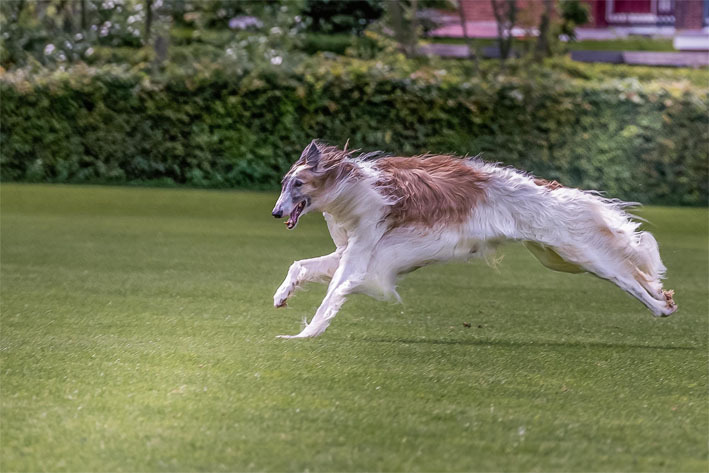 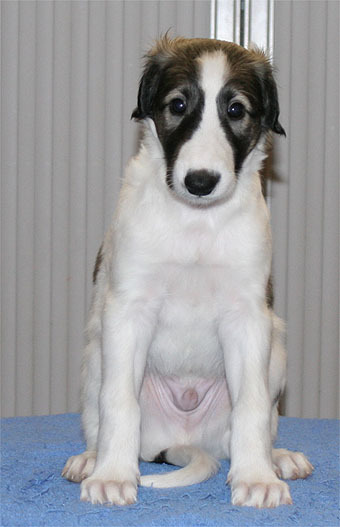 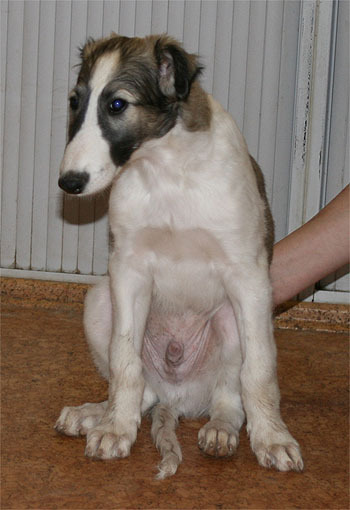 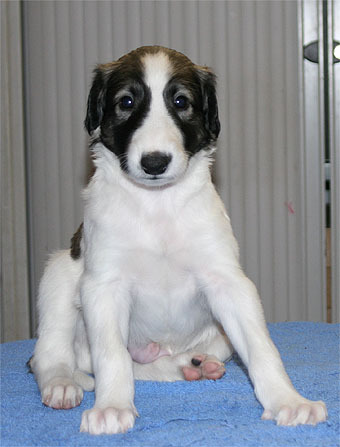 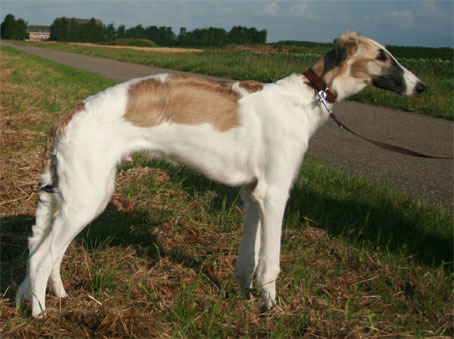 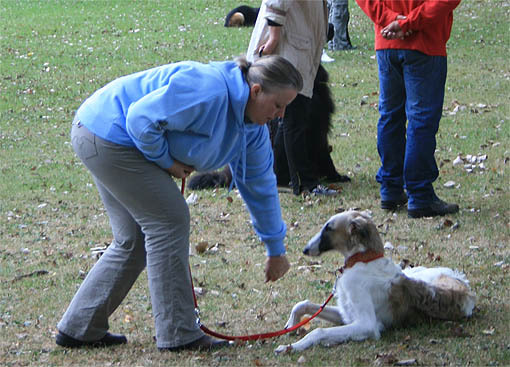 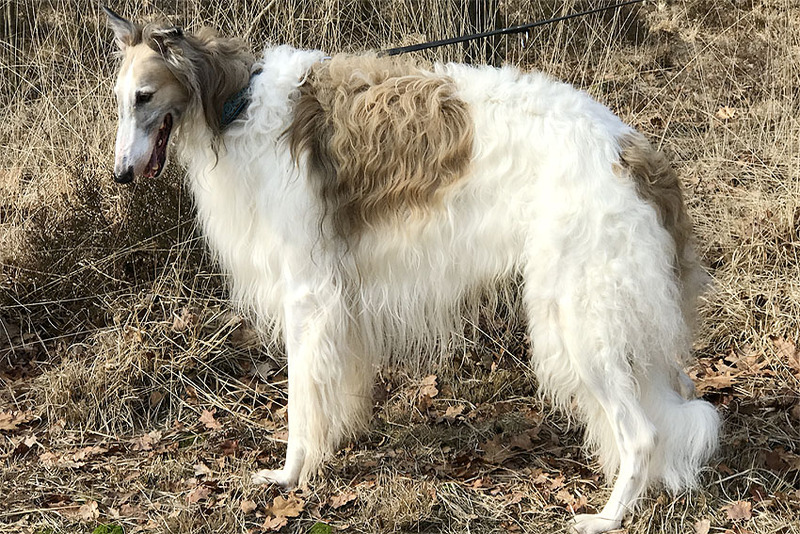 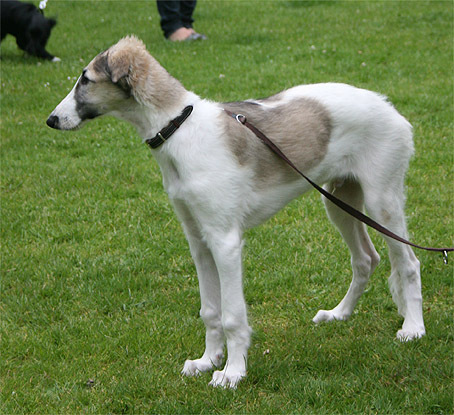 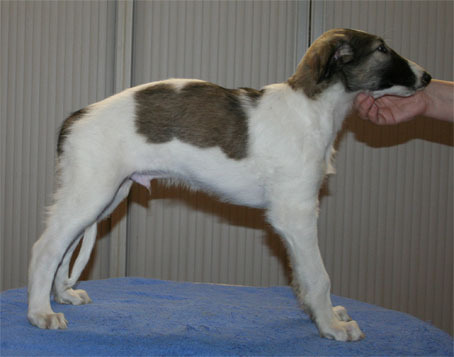 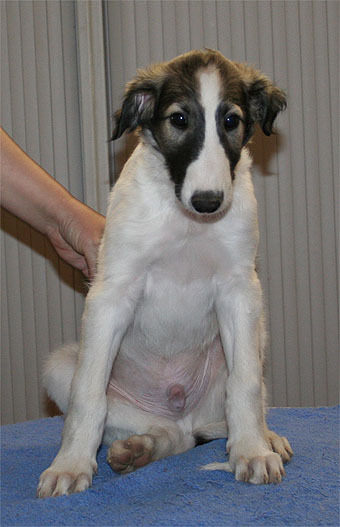 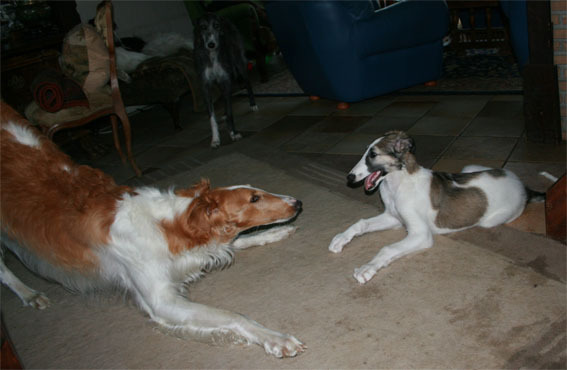 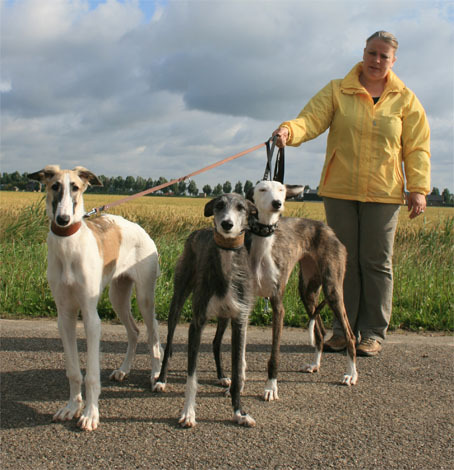 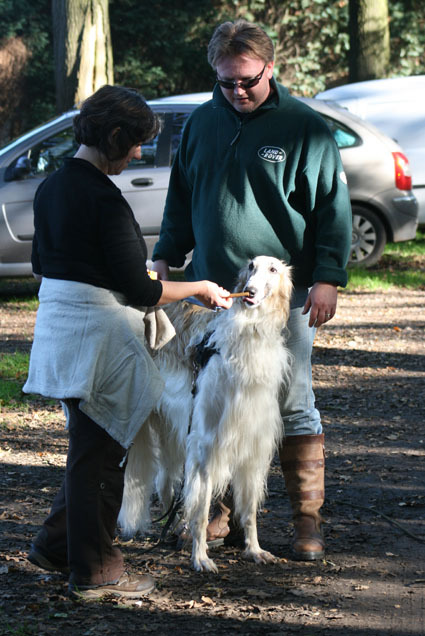 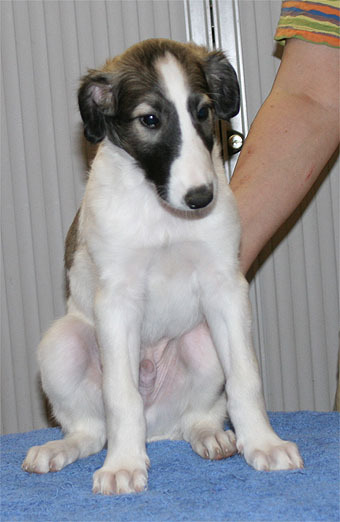 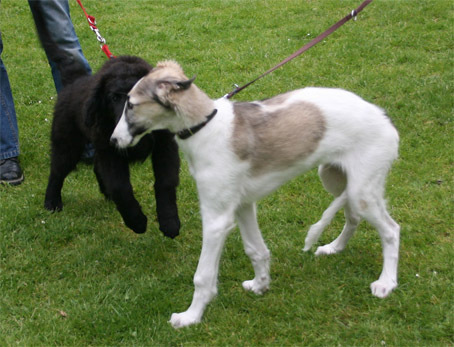 Ochhotnik is the first Borzoi who can participate in only the Clean Boot Hunting Trials in Belgium. 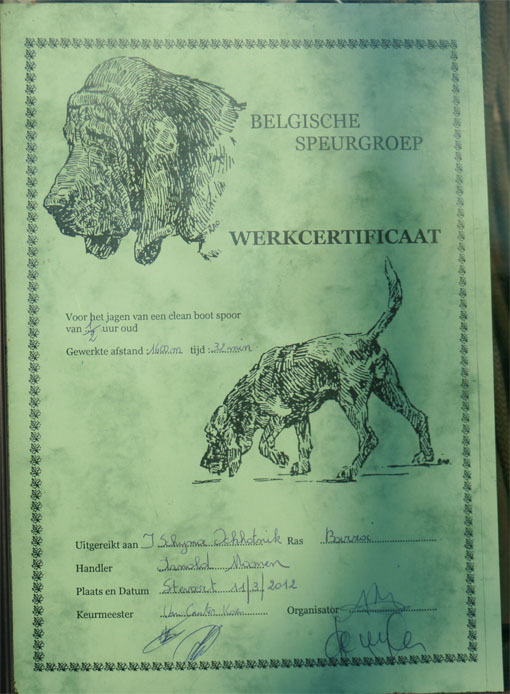 We are very proud!! 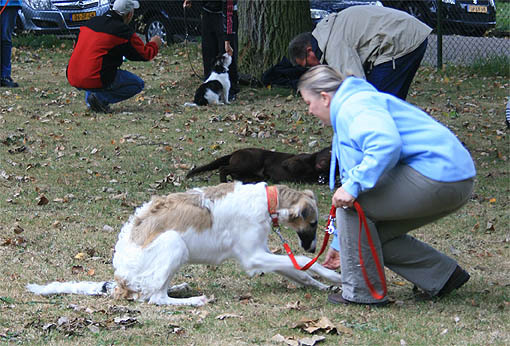 We have lots of fun with "Clean Boot Hunting" officially they do this with Bloodhounds it is not the same as tracking. 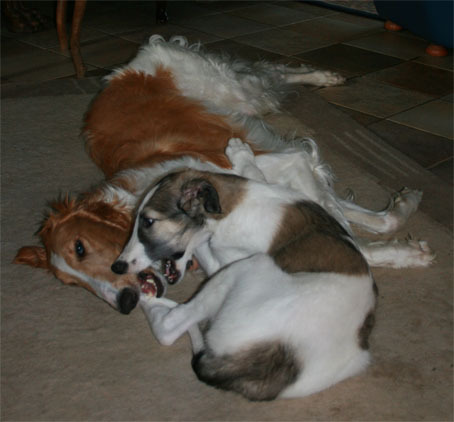 Arnold and Ochhotnik are a team. 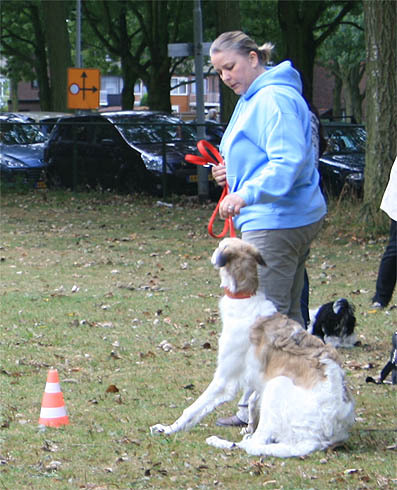 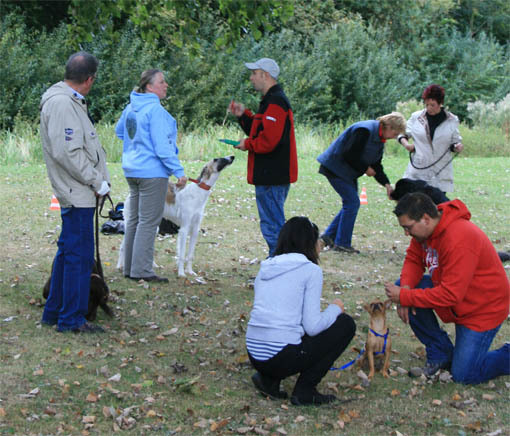 When you train you also do the Trials with the same dog. 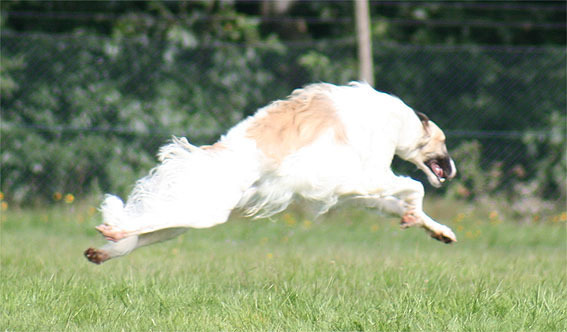 Sometimes you have to run a lot in a high speed, thats Clean Boot Hunting! 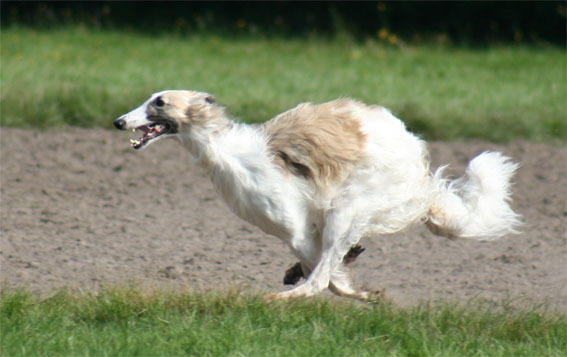 Ochhotnik find the person where he was looking for and get his tread!